The 2019 Boao Forum for Asia with the theme "Shared Future, Concerted Action, Common Development" recently concluded with a strong call for multilateralism, better cooperation, shared prosperity and a common future. While acknowledging the strength of Asia as a region having the power and resilience to maintain world peace, and stability and give a boost to the global economy, Chinese Premier Li Keqiang also said in his speech at the opening of the forum that improving people's lives and livelihoods and economic growth are the common goals for all Asian countries. He envisioned a future where Asian states work together to collectively resist risks and challenges. His speech laid out a multilateral approach toward regional development and economic integration, as well as the necessity of efforts to resist challenges that might hinder the region's development in the future. Experience shows that opportunities come with certain challenges which can undermine the potential of the opportunities if not addressed. China seeks concerted efforts on the part of all Asian states to establish the region as a strong innovation base and strengthened cooperation in innovative development and smart work for more efficient production. To achieve this, regional integration is indispensable along with the synergizing of the economic policies of countries in the region. Li stressed that Asian countries should engage in the Regional Comprehensive Economic Partnership negotiations to achieve a consensus on a trade agreement that would establish a win-win regional trade environment and build vibrant local markets in complete synergy with the Belt and Road Initiative. China is opposing the unilateralism emanating from the United States, which has adopted protectionist trade measures. President Donald Trump announced before the United Nations General Assembly 2018 that the US would not engage increasingly in trade saying "No longer will the United States be taken advantage of." The slogan of "making America great again" is the antithesis of China's multilateral approach for collective growth. Since then, the US has slapped heavy tariffs and import duties on Chinese imports. This is aimed at constraining China's economic growth. In contrast, Chinese trade practices do not seek to deprive any country of realizing its economic potential. Rather it offers soft loans for the economic sustainability of partner states. The Chinese-led Belt and Road Initiative is the leading example of its multilateral approach to seeking collective growth and equal prosperity with shared prosperity. China is partnering with more than 120 countries and organizations and is engaged in multibillion dollar projects around the world. It has pledged to assist its partners, but at the same time, China believes in a multipolar and multilateral approach meaning each country should partner itself with others nearby to seek growth. That is why, Li urged Asian states to more actively engage in innovative development in an inclusive Asian mechanism along with the Belt and Road Initiative. There are currently four major regional cooperation organizations namely the Shanghai Cooperation Organization, the Association of South East Asian Nations, the South Asian Association of Regional Cooperation and the Eurasian Economic Community. These organizations have been established and developed over a period of time and continue to grow organically. The SCO members share borders with ASEAN nations, SAARC nations and EEC nations thus there exists natural proximity. All it takes is to have comprehensive mechanism of trade in place and fast communication channels be they maritime or continental. A comparison can be drawn between Asia and rest of the developed world in terms of economic and political ideology. Asia is emerging as a leader in the world where it asserts a rational position in favor of states disliked by the dominant world powers such as the US. The US has threatened to disarm the Democratic People's Republic of Korea of its nuclear assets by force if necessary, whereas China has consistently advocated negotiations, even brokered them. The US withdrew unilaterally from the Joint Comprehensive Plan of Action with Iran and announced sanctions against it, whereas China stands by the international agreement. China widely acknowledges the role of Pakistan in fighting against terrorism. As Chinese State Councilor and Foreign Minister Wang Yi stated after the first Pakistan-China Foreign Ministers Strategic Dialogue in March, 2019, the world should put an end to the double standard it displays toward Pakistan. China has also consistently called on both India and Pakistan to exercise restraint and resolve bilateral issues through negotiations. 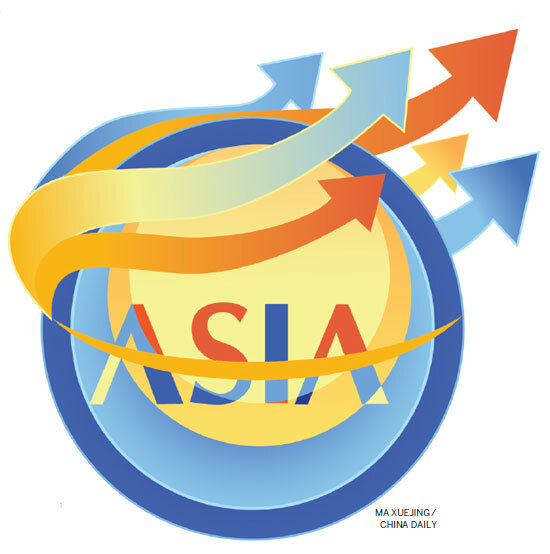 Ahead of the second Belt and Road Forum to be held in Beijing in April, the Boao Forum for Asia has projected the future of Asia as a whole which will be prosperous, peaceful, stable and attractive for all to invest in and cooperate with. The author is director of the Institute of Peace and Diplomatic Studies and secretary-general at the Pakistan Shanghai Cooperation Organization Friendship Forum. The author contributed this article to China Watch, a think tank powered by China Daily. The views do not necessarily reflect those of China Daily.